Program is a certificate in Translation available in 12 languages of English, French, Spanish, Italian, Portuguese, German, Arabic, Turkish, Russian, Japanese, Korean and Chinese. Applicants may study certification programs in two or three languages, as they desire. Entire program is 200 hours of theory, reading, assignments and various translation projects completion. Language Proficiency Exam is required from applicants in their selected languages of Translation program. 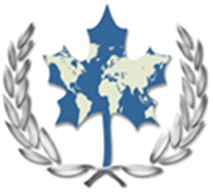 Proficiency Exams are conducted through Education Canada College Language Department. Graduates of CIT Certificate program may start an employment position or follow up to Post Graduate Diploma or Masters in Translation through university affiliates of ECC. The Certificate in Translation program is designed to provide students with the fundamentals of translation. The Comparative Stylistics course is designed to alert students to the uses of language and to the problems of translation; the translation courses provide practical experience in the actual translation of texts in a variety of fields. In the first stages of the program equal time is devoted to translation from English to French and from French to English. Many students complete this program for Arabic, Spanish and Turkish translation to English or French, however this program is adopted into 12 languages. This translation program is to be studied on Campus with your local professors or Online through Education Canada College online students hub. All examinations, projects and almost all sections of this course are available online and are mandatory to be completed online. On Campus program may be completed in Canada at Montreal ECC’s office. Students are set to study the given text books & material and pass their Mid Terms online while completing their final examinations & assignments also online. Students must complete four projects and email their projects to Education Canada College. Graduates will both receive a Transcript and a Diploma from ECC’s head office in Montreal. Enrolled students as well as Graduated students names will be listed at our website. The duration of the study time is very much flexible and on average completion of the course takes between 3 to 5 months. In some cases for part time studies, classes may be extended up to two additional months. Interpretation: Listen to five minutes of conversation and translate. They must be done in both languages & conversation must be taped. Students are to translate five documents from the first language to the second language and five vise versa. These documents can be immigration papers, driver’s license, birth certificate, passport, transcripts and so on. Choose only one document from each category. Two of these documents should be translated from English to Other and the other two, from Other to English. This is the translation of web sites, advertising pages, slogans, logos, and or the cover pages of the books. It is mandatory that students translate at least four projects in this section, two from the 1st language to the second language and the other two from second language to the first language. Translate two advertisements from any journal (100-200 words). They must be done in both languages (English to Other and Other to English). Choose any article and translate in both languages (1000-1500 words). This section of the projects deals with the ability of the students translating the daily news papers’ or the journals’ reports. The articles to be translated shall be more than 500 words one from the 1st language to the 2nd language and the other vice versa. It is strongly recommended that students try to translate business proposals and agreements such as a lease and terms and conditions for this section as well. All projects shall be handed in no late than 8 weeks after the enrollment in the course. Once all projects are completed students shall hand them in to the Education Canada office for evaluations and corrections. Students may forward their inquiries as well as their projects to our school’s general email. If you are not studying online and if you are studying at one of our international representation offices, projects and tapes for the interpretation part shall also be handed in to your local program coordinator. To be emailed to Education Canada College for further evaluations, audios are best to be on mp3 files format.